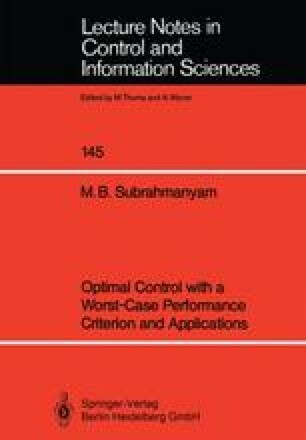 In this chapter a method is proposed for the optimal design of regulators and observers from the disturbance rejection and robust performance points of view. For a given set of system parameters, we obtain a measure of the disturbance rejection capacity of the system or observer. Optimization routines need to be employed to select control or observer gains which maximize the disturbance rejection capacity. The general case of time-varying linear systems is considered and time-domain techniques are employed. Also the problem of achieving maximum performance as well as required robustness in the presence of parameter uncertainties is considered. An expression is derived for the variation of performance with parameter changes. The methodology has connections to the H∞ methods in the case of time-invariant systems. An application to an aircraft wing leveler system is given to illustrate the methodology.